JustRite Friday Challenge 046 Winners! It's time to announce our first JustRite Friday Challenge winners of the year! You all certainly did not make an easy job of choosing amongst all your fabulous scoring projects! If you haven't looked at each of the entries for this challenge, you should -- you will get even more amazing ideas and see more fabulous projects by doing so! Just go back to the original challenge blog post to see all the thumbnail photos of the projects and start blog surfing away the day! A Scor-Buddy with zippered storage pouch and Mini Self-Healing Cutting Mat ($26.95 combined retail value), generously donated by Scor-Pal! In addition, those two Grand Prize winners will also receive our new JustRite Original ribbed Happy Everything Mini Tag Kit AND our new Fancy Tags cling set ($52.90 total retail value), for a total combined Grand Prize retail valued package each worth almost $80! 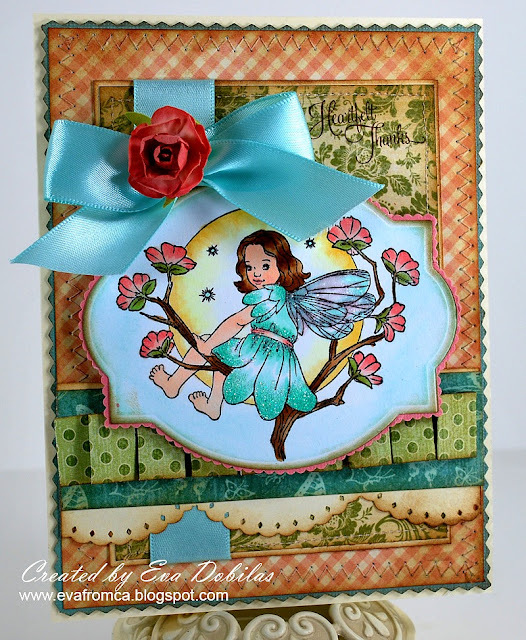 2 - Eva Dobilas colored our In The Moonlight fairy cling stamp set beautifully and added a scored/pleated accent behind the bottom of the image! All the details are just stunning! 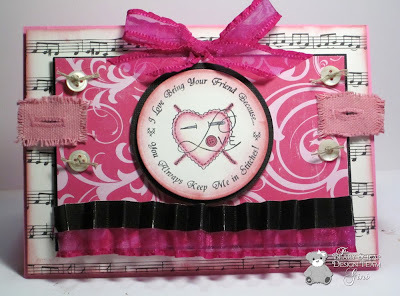 3 - Lynn created this fabulous scored vellum fan, using the bonus floral image from our Small Oval Wood Stamper with Special Occasions Font -- so pretty! Congratulations to all of our winners! Please email me with your mailing address and your prize packages will be sent out to you! MANY thanks to this challenge's sponsor, Scor-Pal, for their generous prize donation -- they will be back to sponsor another challenge next month! Please check back here tomorrow, when we'll post our next Friday Challenge with TONS of fabulous JustRite inspiration samples!